Miniature dachshund in clothes. Very Kawaii! 😛 Copy right scrat. According to Japanese Pet Food Association, 35% of the household that are made up with more than 2 people and 15% of the households that are made up of individuals have pets. There are about 27 million pets, and the number is more than the population of child (under teenager) in Japan. Many pets owners like to spend money on their pets; for example, buying rich pet food, pet clothing, or special treats. Even in today’s sever depression, the sales of pet goods are going up. In fact, some department stores closed some of their children’s stores and added pet shops. 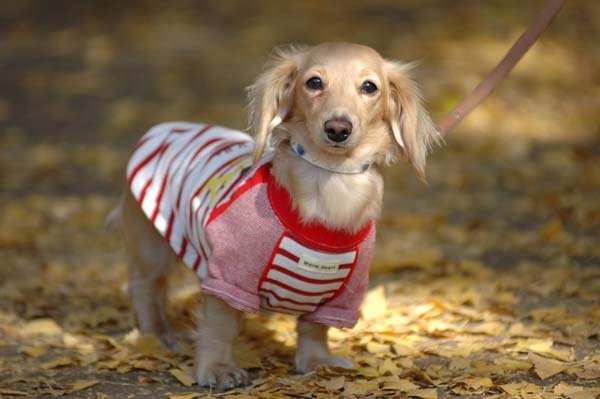 JapanStyle will introduce Japanese popular pets, idle pets, pet goods and so on.